Are you chasing summer like we are?! As our 7th season of summer 2017 comes to an end, Christos, me and lolo💛 are filling up that calendar with so we can continue so much awesomeness!!!!! Won’t you join us? 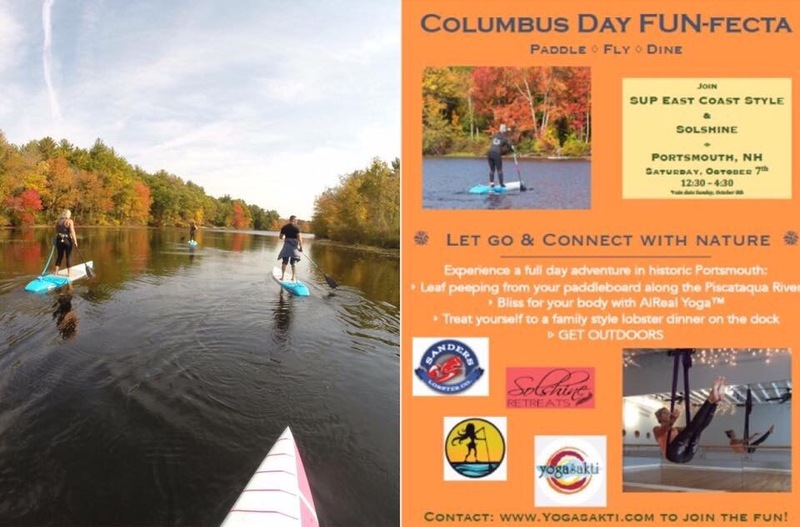 🍍Oct 7th, “Fun Fecta” Paddle, Fly and Dine with us in Portsmouth Nh. Dining is optional and staying overnight is optional as well! Make it a day trip or stay the night, that’s up to you! But join us on our next adventure exploring the Piscataqua River. 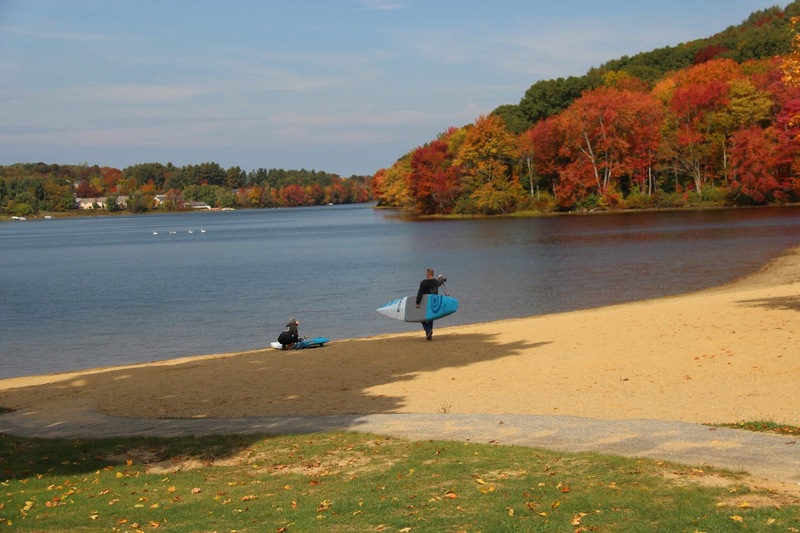 We will be leaf peeping from our paddle board. Then head over to Aerial Yoga class to let it all go with The Fabulous Carrie. She will teach us to fly and experience yoga in perhaps a way that you may have never even thought possible. 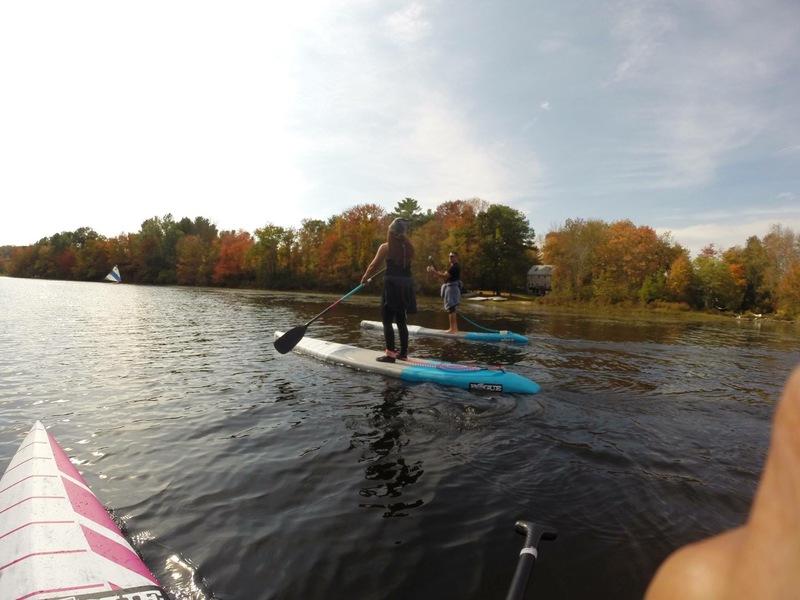 We are so excited to be teaming up with Carrie from https://www.solshineretreats.com/ and can’t wait for a day of paddle, flying and then…….. If your joining us to Dine, We will hop back on our boards to paddle right on over to a fantastic sea food dinner at Sanders Lobster. 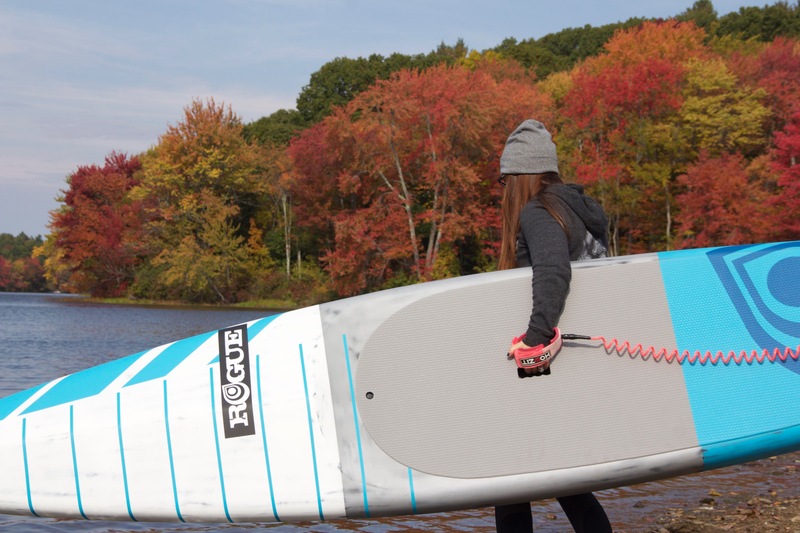 Ever wonder how or why we paddle all year long? Or are amazed at how many surfers paddle out with so much snow on the ground! 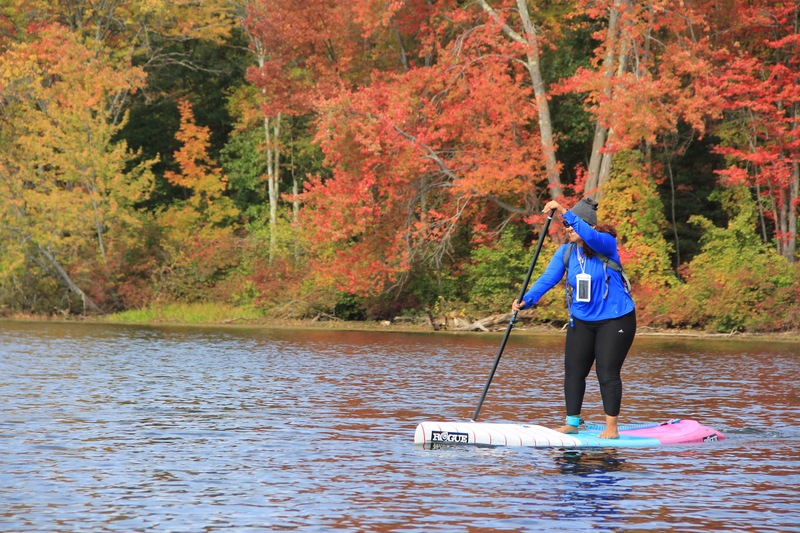 (Ya I said it… snow 🙄) Well now you can learn how to paddle in off season weather! 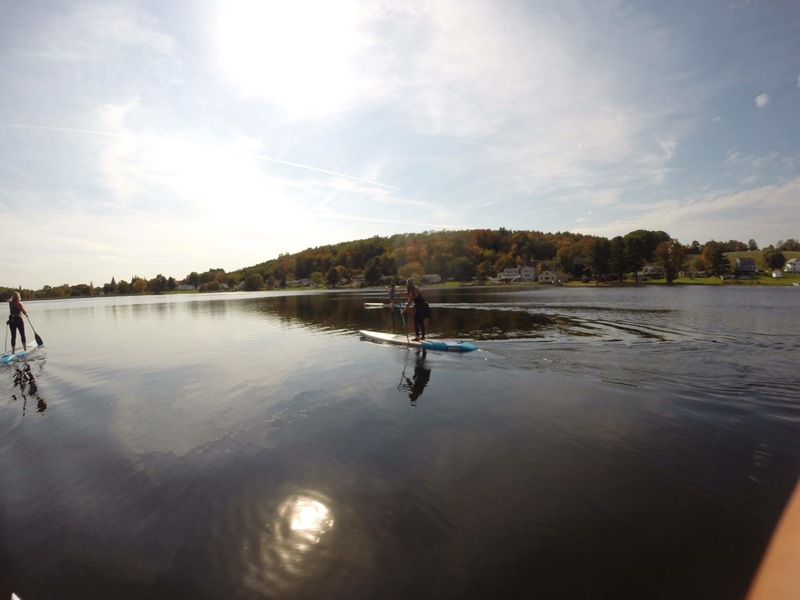 Sup isn’t just a summer sport, you just have to know how to paddle in the “off season” and we are going to teach you. I don’t know about you, but one of my favorite parts of skiing is taking a hot tub after a long day of hitting the slopes and then having a contest of jumping in and out of the hot tub into the snow! So fun! Just because summer may be coming to end, doesn’t mean we put our boards away! Maybe our board shorts and bikinis but not our gear! You don’t put away your running sneakers and only run on the treadmill now do you🤔 Anyways Christos and I have put together an afternoon and evening for you to walk away feeling confident and ready to paddle all year long because Stand up paddle is not just for summer! If you want to get out on the water as much and as often as you can we have created an evening for you to learn all you need or want to know. We will share all of our knowledge, experience and expertise in paddling during the off season. We will take the overwhelming feelings of simply just not knowing where to start and work with you to figure out what works best for your budget and the level of paddling you want to enjoy. We will cover topics such as clothing, gear, equipment, safety, all you need to know and more no matter what level paddler you are. Whether you rent or own your own board this workshop will be of value to you. Coupled with the fact by just coming to the workshop, you will Receive 15% off your order. 🍍Rear entrance of 29 Bridge Street, Salem Ma. How to register? This workshop is FREE! We have created a Facebook invite so if your on social media please let us know if you are coming or interested. More retreats, events and news is on the way, season 8, 2018, here we come!